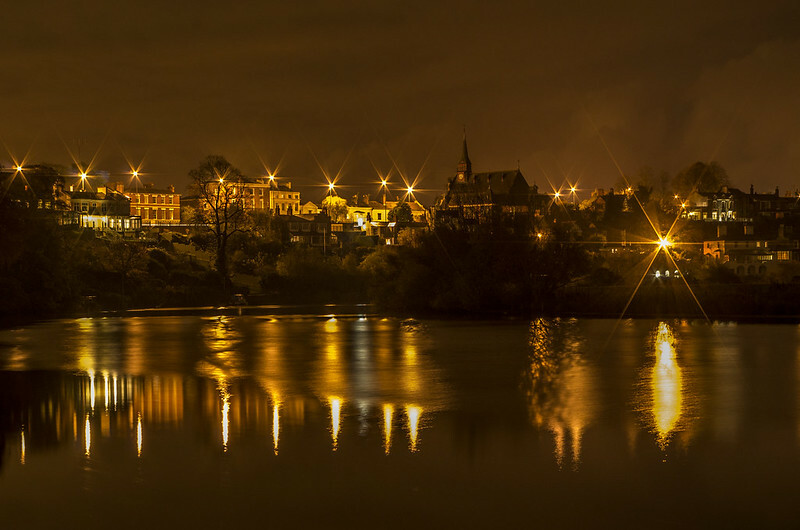 This is the second part of my guide to night photography. If you didn't catch the first, you can find it here. It does really boil down to luck whether you get these types of shots, but you can certainly eliminate not being ready at the time out of the equation. In a nutshell this approach is just the same as doing star trails, but instead of making a composite of hundreds of shots, you pick and choose individual shots which caught the magic. The approach to capturing lightning vs fireworks is subtly different though. The first this you need is a storm! Sounds obvious, but without one you are not getting anywhere. You also need a good sheltered spot with a wide field of view. I would also strongly suggest you need a ultra wide angle lens, but you might fare ok with the kit lens if you are very lucky. A remote trigger release cable will likely be needed to, and without a doubt, a tripod. I managed the lightning shot above by realising a storm was brewing nearby. I grabbed my K20D, Sigma 10-20, a tripod, and opened my garage door. I then set it all up just inside the garage and had the lens at its widest pointing out and focused to infinity (do check you have the focus correct). 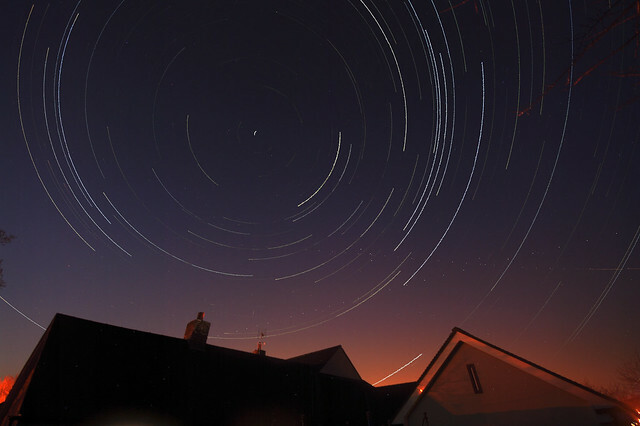 I set the K20D to do continuous 6 second exposures at F8 by having the remote cable in the locked position. As I said in the first part of my guide, 6 second exposures are important with the K20D as that's the longest exposure you can have before noise reduction starts being applied and you are waiting a while before you can take another shot. Avoid this, as sods law you'll miss that fraction of a second moment when lightning strikes. You want maximum coverage. This will obviously be different for other bodies, make sure you look into it. Once you are happy with what the camera is doing, walk away. Watch TV or a film (depending on your location of course). Once the storm has passed, take a look at what you've got. You have hopefully been lucky. Out of the 200 or so shots I took that particular evening, only 2 had forked lightning in them, and this was the better one. 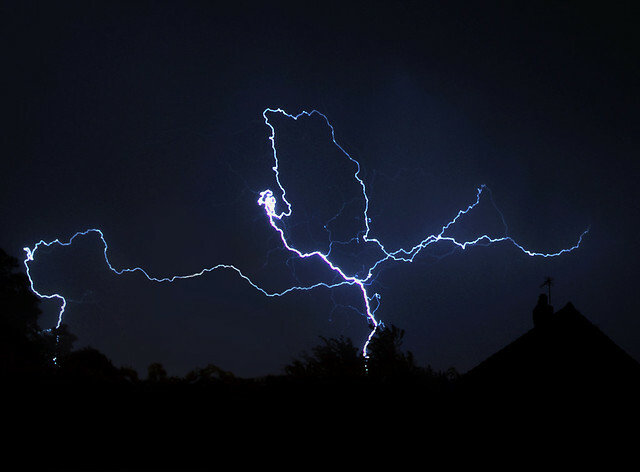 It was in the bottom left corner of the shot, so I corrected the extreme barrel distortion you get from a wide angle lens in Photoshop and cropped to make the shot all about the lightning. As the lightning was in the far corner, I would not have caught it if I hadn't been at 10mm. You have to give yourself the best chance - the wider the better. Not as much down to sheer luck as lightning is, because there are one or two days a year you are guaranteed to find a lot of fireworks in the sky. In the UK bonfire night is the best time. The approach is quite similar to what I discussed with lightning, but you have more control over what you want to get. What focal length to use is really down to what spot you choose to take pictures from. If you are high up on a vantage point you might actually want to zoom right into a point of interest likely to generate fireworks. Alternatively you might want to cast your net high and go wider. If you do want to go wider, I would suggest sticking with the kit lens - it will be enough. So the general principle with fireworks is very similar to my method of catching lightning, however choose a 30 second exposure for your continuous shooting, and an aperture which doesn't cause your shots to be over exposed too much. The reason for this is that fireworks take time to shoot up and explode, and by keeping these exposures to 30 seconds you give the fireworks chance to be not only captured fully, but to capture clusters of them in the same exposure, really making the shots more exciting. Having said that, in the firework shot above, it was just one massive rocket exploding over a nearby village, Frodsham. 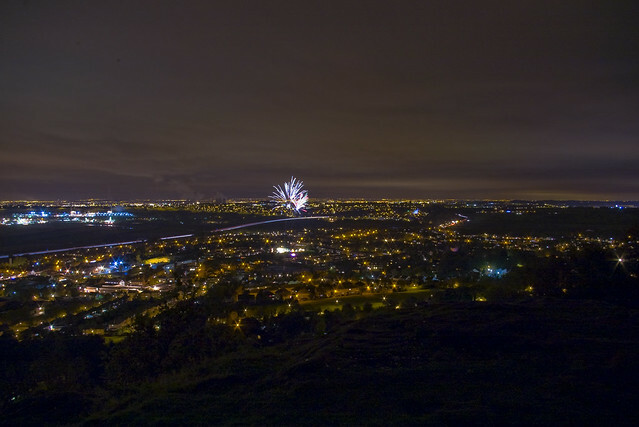 For me that shot is equally about the view as it is the firework overhead. It's an unconventional take on a firework shot, and this is why I would ask you to be open minded in what spot you choose. On bonfire night in the UK you are very likely to capture at least some fireworks over the course of an hour or so no matter where you point your camera. Be inventive. As a final comment, as long as you haven't moved your camera whilst it has been taking lots of shots of fireworks, see what happens when you stack the shots together with this star trails software It might give the impression that hundreds of fireworks were going off at the same time in the distance - could be very interesting! And that concludes my second part of my guide to night photography. Hope you found it useful. In the third and final guide I will cover taking shots of the moon and the rather liberating handheld night photography. Re: Bob's Guide to Night Photography Part II Thanks - though I've just embarrassingly found a typo - I should have proof read it better! Re: Bob's Guide to Night Photography Part II - See entire comment HI, and thanks for theses useful guides. Could I ask how you go about calculating the correct exposure times whilst out night shooting? Re: Bob's Guide to Night Photography Part II - See entire comment I would imagine a few test shots. Once a few have been done it probably doesn't vary very much. Re: Bob's Guide to Night Photography Part II Thanks Gareth, That's useful to know. Anybody know if the 6 second rule also applies to the K10? Re: Bob's Guide to Night Photography Part II Pass but the working back works! Re: Bob's Guide to Night Photography Part II - See entire comment Hi Karlos. Re: Bob's Guide to Night Photography Part II And I've just read some of the recent updates which I had missed. Interesting!